While the focus is on the wildlife and unique landscapes found in the Arctic and Antarctica, providing guests with spacious, beautifully appointed accommodations goes a long way to complement and enhance the overall experience. 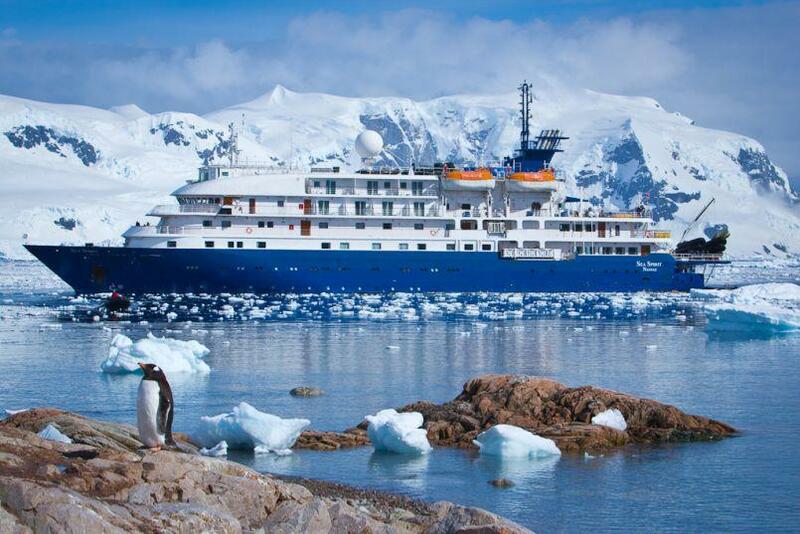 Press Release (ePRNews.com) - PROVIDENCE, R.I. - May 23, 2017 - Poseidon Expeditions’ polar cruising star, theall-suite, 114-passenger M/v Sea Spirit (http://poseidonexpeditions.com/ships/sea-spirit/), has repositioned to Nuuk, Greenland, to begin her 2017 Arctic season, following a $2.5 million-plus refurbishment of all 54 guest suites during a recent dry dock in Vigo, Spain. Poseidon Expeditions (https://poseidonexpeditions.com/) will again this season offer a wide range of Arctic cruises aboard the Sea Spirit, including a first-ever Voyage to The Arctic expedition (https://poseidonexpeditions.com/arctic/iceland-norway-sva…), June 17-29, 2017, that explores Iceland’s northern fjords and travels along the Arctic Circle to the Norwegian coast where a number of stops are planned before proceeding north to Bear Island and the Spitsbergen Archipelago. Remote Franz Josef Land in the Russian High Arctic will also be explored on an Aug. 14-29, 2017, voyage. Arctic rates in 2017 for the all-suite Sea Spirit (http://poseidonexpeditions.com/ships/sea-spirit/)begin at $8,395 per person, double, and if three people share a spacious Triple Suite the rate is just $5,995 per person. New for 2017 will be the inclusion of a pre-cruise hotel night in either Reykjavik, Iceland, or Longyearbyen, Spitsbergen, depending on the itinerary. In the UK and elsewhere on the globe, contact Sales@poseidonexpeditions.com or telephone +44-870-068-9142. With offices in the US, UK, Germany, Russia and China, Poseidon Expeditions is a leading provider of polar expeditions in the cruise industry. In addition to the Sea Spirit, the company provides guests with the unique opportunity to travel to the geographic North Pole aboard the 50 Years of Victory (http://poseidonexpeditions.com/ships/50-years-of-victory/), the largest and most modern nuclear-powered icebreaker in the world. Fourteen-day, top-of-the-world programs are scheduled for both the 2017 and 2018 summer seasons. The company is committed to safe and environmentally responsible polar travel. It is a member of the International Association of Antarctica Tour Operators (IAATO) and the Association of Arctic Expedition Cruise Operators (AECO).